The key to success in any large undertaking is preparation, and adoption is no exception. Adoptive parents have required education which includes a set of core classes and additional courses selected for them based on their individual adoption process. The goal is to prepare the adoptive parents for what will be a life-changing transition for the adoptive family and child. 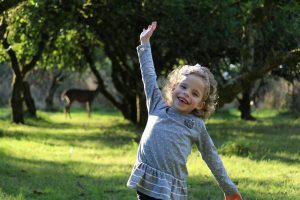 With such subjects as general parenting techniques and dealing with food issues like hoarding or pickiness, we want to provide methods for dealing with situations that adoptive families may encounter during and after their international adoption process. Education is completed during the home study phase, but it does not end there. Parents should review the information and can take additional courses during the waiting period between submitting their dossier and bringing the child home. Additionally, shortly before the trip to bring home their adopted child, MLJ adoptive parents have a travel consultation with their program manager as well as our Support Services department, providing information about their destination, the in-country process, interacting and adjustment of the child, and tips for handling the long trip home. There are also online groups for adoptive parents which can be a source of information and support. Armed wi th all of this information, parents make the exciting round trip, bring home the new member of the family, and begin the process of adjustment and becoming a family. This will be different for each family, but hopefully made easier by the adoption education and preparation. However, even well-educated families can encounter a difficult situation that they did not anticipate, or just felt would not happen with their child. Eating issues, behavioral problems, or difficulty in forming an attachment can manifest themselves once the child is home. Our Social Services department is here to help you work through any concerns or difficult situations that may arise. Some issues can be resolved by just talking through them on the phone and learning coping mechanisms, or with recommended books or online courses. In the event that parents need to find counseling or even respite options, we can help provide sources for those resources as well. Don’t think you have to put up a brave front and handle difficult issues alone, please call for help; post adoption support is one of the services that your adoption agency provides. Adoptive parents tend to believe that their situation is unique to them, however, your agency has likely already dealt with the same concerns or behavior issues prior to your situation. Adjustment issues can affect all adoptive families, your family is not the first to experience this, nor will you be the last. The sooner you call for support the better. If your child had a medical issue in between annual checkups, you wouldn’t wait until the next visit to discuss it with the doctor. Don’t wait until your next post placement/adoption visit to let us know if something is difficult; we can help in the early stages to keep potential issues and stressors from growing. This is especially important if something develops after your post placement/adoption reporting has been completed. We still want to hear from you. The process of bringing a child home to a forever family is not our only focus; helping to make it a success is just as important to us!